Wow, I sure learned a lot from this post. It makes so much sense that they have such a system in place, but I had no idea. Based on what happened when you were in the pool, it is probably not that surprising that some of the new lifeguards fail the first time. I love how Amy learned so much from the experience and used it to sharpen her skills and awareness. 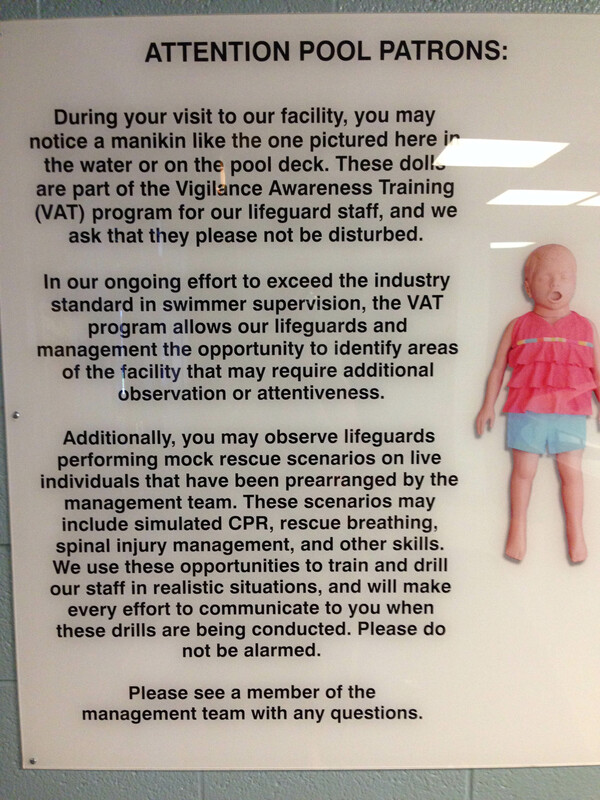 It’s kind of reassuring knowing the guards have ongoing training and “tests,” isn’t it? Yeah, it was a good moment to see her not getting down on herself. It is reassuring to know about all the training they get. The training company – Ellis, not Red Cross – also sneaks in sometimes and videotapes, undercover, the guards and then gives them written reports of their performance. It’s a pretty high stress job for teenagers, at barely above minimum wage.